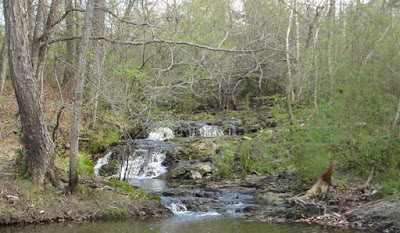 The vast majority of Arkansas' most impressive waterfalls are found in the northwest and north-central part of the state. These make for great hikes/bushwhacks following a big rain and descriptions for finding them can be found in many of Tim Ernst's guidebooks. But what about those of us in central Arkansas that don't feel like driving 2-3 hours (in the rain) to see a waterfall? Well, we are in luck. Little Rock happens to have quite a few hidden waterfalls that, while maybe not as spectacular as some along the Ozark Highlands Trail, are still spectacular and surprising to behold in the state's largest metropolitan area. I got the idea for this post after reading Mason's recent post on some waterfalls he found in Riverdale, in and around Grandview Park and Rebsamen Park. I lived in this part of town for several years and never heard of or came across the falls and cascades he discusses so I was excited to see his great photos and am hoping for rain during my next visit to Little Rock. 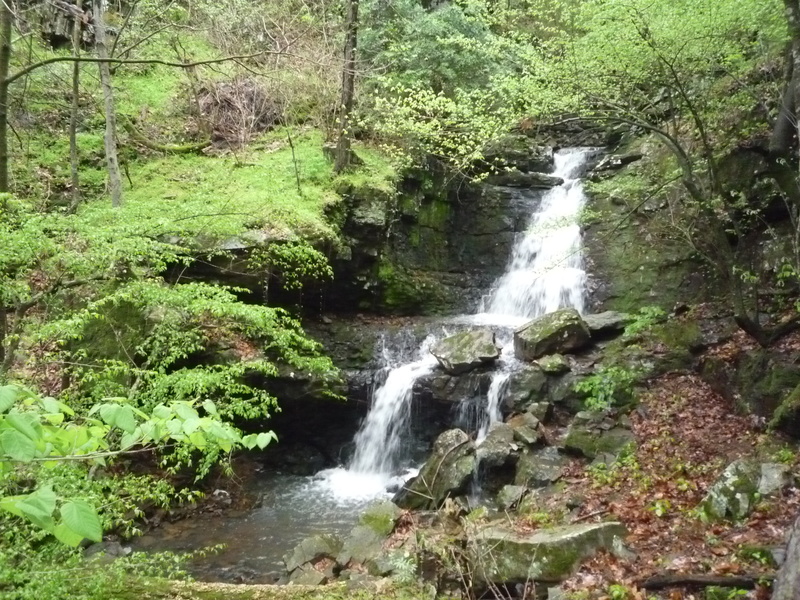 Nearby Allsopp Park also has some nice falls during and immediately following big rains. Yet another nice, large, cascade that looks great after a rain, is located near the north side of Kanis on Rock Creek. By far my favorite waterfalls in the area and, in fact, the whole state, are the 4 or 5 falls that form over the Emerald Park bluffs after a big storm. Located in North Little Rock, you can still catch great views of them from the Little Rock side of the river along Riverfront Dr. and Rebsamen Park Rd. I've included some photos and a map below. I'm sure there are other great falls in Central Arkansas. Do you know of some?